B.F. Skinner was the 20th century’s most influential psychologist, pioneering the science of behaviorism. Inventor of the Skinner Box, he discovered the power of positive reinforcement in learning, and he designed the first psychological experiments to give quantitatively repeatable and predictable results. Skinner wrote a bestselling novel for the general public exploring the effects of utilizing his behaviorism principles in a community of people. He courted controversy by denying the existence of free will, claiming that humans act according to rules programmed by a combination of our genes and the circumstances of our environment. Burrhus Frederic Skinner was born in the small railroad town of Susquehanna, Pennsylvania, USA on March 20, 1904. He was always known to his family as Fred. His mother nearly died in childbirth. Fred’s father, William Arthur Skinner, was an attorney. His mother, Grace Madge Burrhus, was a typist who gave up her job when she married; she was also an accomplished pianist and singer. Both parents graduated second in their classes from high school. Fred had one younger brother, Edward. Fred and Edward enjoyed a rural upbringing. The two brothers harvested grapes, apples, and plums from their home’s overgrown garden. In the forest they collected berries and nuts; they set traps for mice and chipmunks, which they released, and snakes, which they killed. They gathered cocoons so they could watch moths and butterflies emerge later in the season. They watched the blacksmith and carpenter doing their work and watched trains passing through town. Fred’s parents were not very religious – they often skipped their Presbyterian church on Sundays. Fred’s grandmother terrified him by pointing to a coal fire and telling him that if he ever told a lie he would be held in a fire like that forever. 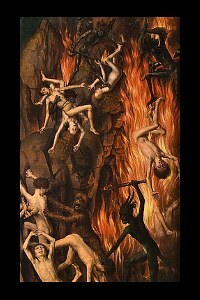 Later, his father confirmed to him that bad boys ended up in the fires of hell. For years Fred would lie awake at night sobbing over a lie he had once told, unable to reveal even to his mother what was upsetting him so much. Fred was not baptized. His father believed children should only be baptized when they understood what was happening, and for Fred that didn’t happen. Although his confirmation that hell was real unintentionally traumatized Fred, Fred’s father never physically punished his sons. This was unusual for the era. Later in life, Fred’s behaviorist psychology would focus on rewards rather than punishments. Fred grew up with toys that stimulated his mind. He bolted together devices from Meccano, and he experimented with a working miniature steam engine. When he was a little older, he carried out his own chemistry and electrical experiments. He designed but did not build a perpetual motion machine. He built a steam cannon. Fred spent a lot of time working on mathematical and word problems in a big puzzle book. His favorite books were Daniel Defoe’s Robinson Crusoe and Jules Verne’s Mysterious Island – he liked the idea of self-sufficiency. He wrote poems and short stories on his father’s typewriter. As part of their education, their father took Fred and his brother to see factories and find out how things were produced. His 12 years of schooling all took place in one small building. In eighth grade, he had trouble with a teacher. Fred argued with her in class, telling her that what she was saying was factually incorrect. His teacher complained to the principal, and the principal asked her about the specific arguments she was having with Fred. The principal realized Fred was correct, so Fred was not punished. In eighth grade, Fred became a devotee of the works of William Shakespeare and also bought into the conspiracy theory that the true author of Shakespeare’s works was Francis Bacon. He read further works by Bacon, including his famous Novum Organum describing the Baconian Method of doing science. Fred enjoyed his time at Susquehanna High School, where mathematics was his favorite subject. He graduated second in his class, just like his parents at the very same school. The school’s principal, ‘Professor’ Bowles liked Fred, but near the end of Fred’s schooling grew worried that Fred had become an agnostic or even an atheist. He tried to guide Fred by giving him a book entitled God or Gorilla, which attempted to refute the theory of evolution; Fred was not guided by the book. In September 1922, age 18, Frederic Skinner matriculated at Hamilton College, Clinton, New York, a men’s liberal arts school. He soon learned that only a few of the staff had PhDs. Fred Skinner. Hamilton College freshman. His favorite freshman course was English Composition, and he began publishing his poetry in the college magazine. In the Easter vacation, Fred’s younger brother Edward fell violently ill. Fred called the doctor, who told him to go fetch his parents from church. By the time they returned, Edward had died. The cause was determined to be ‘acute indigestion.’ Later in life, Fred reasoned that the true cause had been a massive cerebral hemorrhage. Edward’s death at age 16 left the family, including Fred, in shock for a long time. At the end of his freshman year, Fred wrote an essay about the year. He had not enjoyed it. Too many of his fellow students looked down on scholarly students like Fred, who wanted to learn about literature rather than engage in athletics. This had drained his enthusiasm. His disdain for his fellow students was matched by theirs for him: he was thought of as a somewhat vain, standoffish, highbrow character. Fred enjoyed his sophomore year and by junior year had decided to major in English Language and Literature. He graduated with a Bachelor of Arts in 1926, intent on becoming a novelist. By the end of summer 1926, Fred realized he could not write a novel and began considering an alternative future. He realized novel-writing was attractive to him because it involved describing and analyzing human behavior. In November 1927, he decided to abandon literature and study psychology. He became a graduate student at Harvard University’s psychology department in the fall of 1928, age 24. Three years later he graduated with a Ph.D. in psychology. Skinner carried out research at Harvard until 1936 then lectured at the University of Minnesota. He became chair of Indiana University’s psychology department in 1946. In 1948, he returned to Harvard as a professor and spent the rest of his career there. The many hours Skinner spent as a boy building Meccano devices, steam cannons, and the like paid dividends in his graduate student work at Harvard. His ability to improvise and design innovative new gadgets allowed him to approach the study of animal behavior in unique ways. His personal behavior was highly regulated. He rose every day at six, studied, ate breakfast, attended classes, worked in the laboratory, studied until nine, then went to bed. He never left more than 15 minutes of free time in his daily schedule. He demanded regularity from his experiments too. He criticized existing published research for its lack of repeatability. Through trial, error, happy accident, and his invention of gadgets he produced the Skinner Box. For the first time ever, this apparatus produced measurable, repeatable, quantitatively predictable behavior from rats. A basic Skinner Box. The rat operates a lever to dispense food. The operation of the lever and the amount of food dispensed are recorded. Since its invention, the Skinner Box has allowed experiments to be carried out that have greatly increased our understanding of animal behavior. Using his newly invented box, Skinner made probably his greatest discoveries. Until then, behavior scientists had studied rats using mazes. Skinner’s results were better controlled, producing repeatable, predictable results. He proved that hungry rats equally deprived of food (for 24 hours) all pressed a lever that released pellets of food at the same rate. A recorder Skinner designed and built himself showed the rats all ingested food at the same rate too. He could now quantifiably predict the behavior of rats that had not eaten for 24 hours. Nobody before had ever been able to quantitatively predict as clearly how an animal would behave. Rats experienced a positive consequence when they pushed the lever in the Skinner Box – they got food. This produced a new behavior pattern in rats – pressing a lever, which emerged accidentally as a result of the rats’ own qualities combined with positive reinforcement. Skinner only liked to use reinforcement techniques. He did not advocate punishment for people or other animals, believing it produced avoidance behavior that could have worse consequences than the behavior being punished. 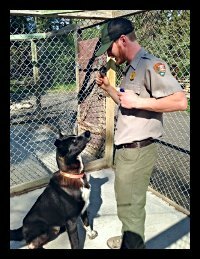 Today, reinforcement techniques are used in human education and animal training. One of the commonest methods of positive reinforcement in animal training is clicker training: when an animal behaves in an appropriate way its trainer uses a small mechanical device to make a clicking sound and gives the animal a food treat. Reinforcement and punishment are the basis of ‘operant conditioning’ – conditioning takes place when the strength of a particular behavior is modified by the consequences of that behavior. Skinner is regarded as the founder of scientific operant conditioning. In fact, practical aspects of operant conditioning are likely to have been in use for almost as long as humans have existed. Skinner never used the term ‘Skinner Box’ himself. He disapproved of it, preferring ‘lever box’ or ‘operant conditioning chamber.’ He described his discoveries in this field in his 1938 book Behavior of Organisms. Skinner moved away from working with rats to pigeons, which are longer-lived. A problem faced by the military in World War 2 was missile guidance. How could a long-distance missile be guided to hit a target? 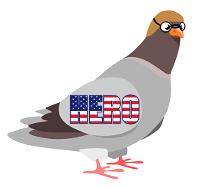 Skinner demonstrated that trained pigeons housed in compartments within a missile could guide it on to a target. Lenses projected an image of the target on a screen which the pigeons pecked, keeping the missile on track to hit the target. Although it might sound bizarre, Skinner’s invention actually worked. In the end, however, the military decided to utilize radar and other technologies to guide their missiles rather than Skinner’s kamikaze pigeons. Skinner criticized the education system for relying too heavily on punishments and not enough on positive reinforcement. He gave the example of a sixth grade teacher whose pupils misbehaved in class, didn’t work in class, and didn’t do their homework. The teacher read about positive reinforcement and decided to show the class a prize one of them would get at the end of the week. The winning pupil’s name would be drawn in a lottery. Every time a pupil completed their homework or completed their class work satisfactorily, the pupil was allowed to write his or her name on a slip of paper to go into the name pool, increasing his or her chances of winning. The children began listening to their teacher more attentively, because what she was teaching them helped them do their work. They also completed their classwork and homework. Life for that teacher became much easier. She could give more relaxed lessons and her pupils learned more. Skinner said that with more training in behaviorism, the teacher could have designed a more subtle system, but even the crude system showed how effective behaviorism could be in practice. Some practitioners of positive reinforcement found that after children changed their behaviors and started learning in the classroom, they enjoyed it so much that learning new things became the reward – no other inducements were needed. The rat learned the process in small steps, with rewards providing positive reinforcement when each step was completed correctly. Skinner applied the same principles to human learning. He showed how people with a handicap could learn to walk by breaking the process into small steps with positive reinforcement. He produced a machine that taught students with learning difficulties to read using a process of successive approximation. Positive reinforcement when the students got steps right helped them make fast progress. Skinner’s mechanical teaching machines never became popular, although computer software used in teaching today makes use of Skinner’s behaviorism. Of all contemporary psychologists, B.F. Skinner is perhaps the most honored and the most maligned, the most widely recognized and the most misrepresented, the most cited and the most misunderstood. Skinner’s wife Yvonne, with daughter Deborah. Skinner was often portrayed in a negative light. For example, a myth that he raised one of his daughters in a Skinner Box and performed experiments on her gained traction. 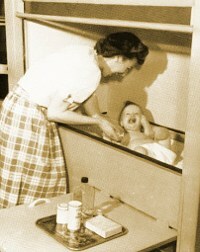 The truth was that Skinner, who loved inventing gadgets, had designed a warm, enclosed, temperature-controlled bed/playpen for his daughter to sleep and play in without the need for clothes or blankets – it may not have been how everyone would raise a baby, but it wasn’t what the rumor-mongers suggested. In the 1940s, Skinner revived his original plan to become a novelist, publishing Walden Two in 1948, the year he returned to Harvard. Eventually, over a million copies of Walden Two sold. In Walden Two Skinner explores a fictional community, called Walden Two, in which his behavioral techniques are employed, creating (in Skinner’s opinion) a better society. The characters who inhabit Walden Two are portrayed as happier than those who don’t. In the community there is no wealth, and no poverty, and no crime. Consumption is minimalized rather than encouraged. Lower consumption means members of the society need to work only four hours a day, spending the rest of their time enjoying a wide range of recreational activities. The idea of free will is rejected as having no scientific basis. In place of democracy, the community is governed by a group of self-appointed planners who govern using scientific behavioral principles. Children are reared in accordance with these behavioral principles by the community rather than within their own families. There are no punishments, there is re-education using positive reinforcement. Skinner believed Walden Two’s community was an admirable way to deal with the challenges faced by American society in the 1940s and he continued to believe this in later life. Critics accused him of showing totalitarian tendencies. In an attempt to bring his ideas to the general public, Skinner wrote Beyond Freedom and Dignity, published in 1971. Again he denied the existence of free will, maintaining that our behavior is wholly controlled by our genes, our environment, and social interactions. Skinner said humans could behave more altruistically if scientific methods were utilized to modify our behavior. Critics again accused him of showing totalitarian tendencies. Skinner provoked the ire of the psychiatric profession by saying it is futile to try to examine inner feelings. Everything, he said, could be explained through behaviors. Consciousness itself is just a social product – our very thoughts are programmed by our genetic history and our environment. What you might think of as your ‘self’ as an individual, unique human being is actually a menu of programmed behaviors appropriate to the situation you find yourself in. He argued that to change the ‘inner self’ needs environmental and behavioral changes rather than trying to look inwards to our minds. In 2002, the academic journal Review of General Psychology considered the impact of individual psychologists in the 20th century based on journal citations, introductory psychology textbook citations, and responses to a reader survey. Skinner ranked at number 1, followed by Jean Piaget, and Sigmund Freud. In 1936, just before beginning work at the University of Minnesota, Skinner married Yvonne Blue. They had two daughters: Julie and Deborah. When not working, Skinner relaxed by playing piano, painting, and reading books – he particularly enjoyed mystery stories. He officially retired from his professorship at Harvard in 1974, age 70, but continued working until his death. 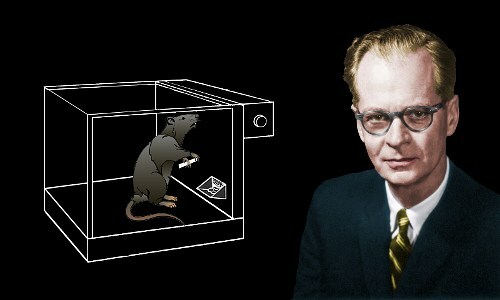 B.F. Skinner died age 86 on August 18, 1990 in Cambridge, Massachusetts from complications of leukemia. He was survived by his wife and daughters. He was buried in Mount Auburn Cemetery, Cambridge, Massachusetts. His wife Yvonne was buried alongside him after her death in 1997. "B.F. Skinner." Famous Scientists. famousscientists.org. 19 Nov. 2016. Web.